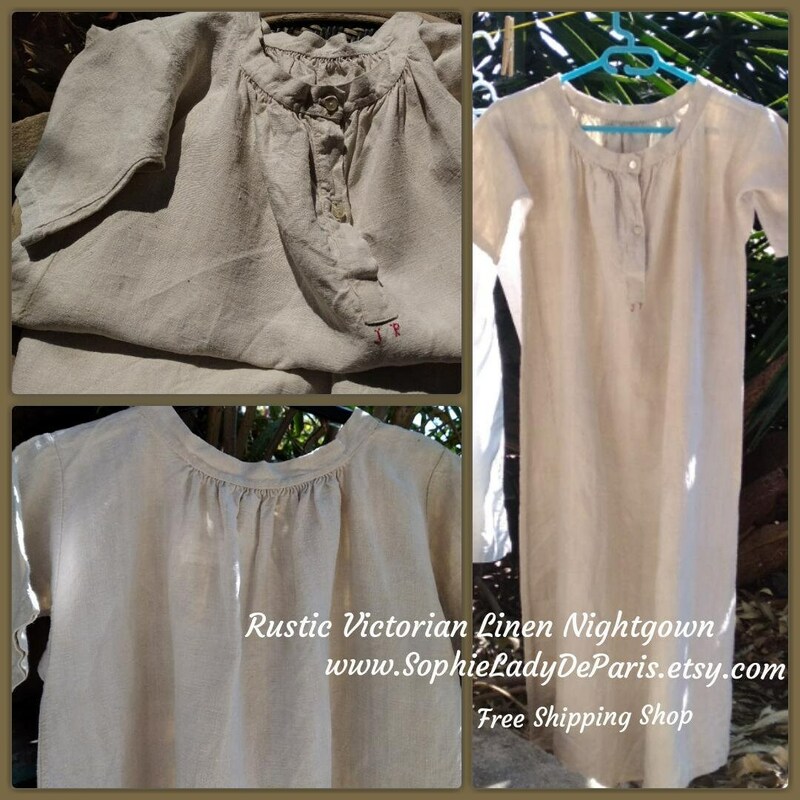 Rustic French country side linen nightgown. 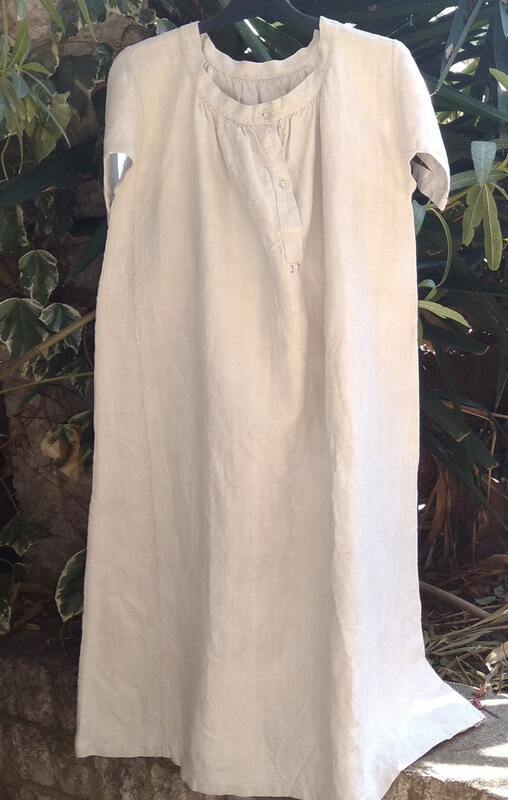 Natural beige camel linen color. 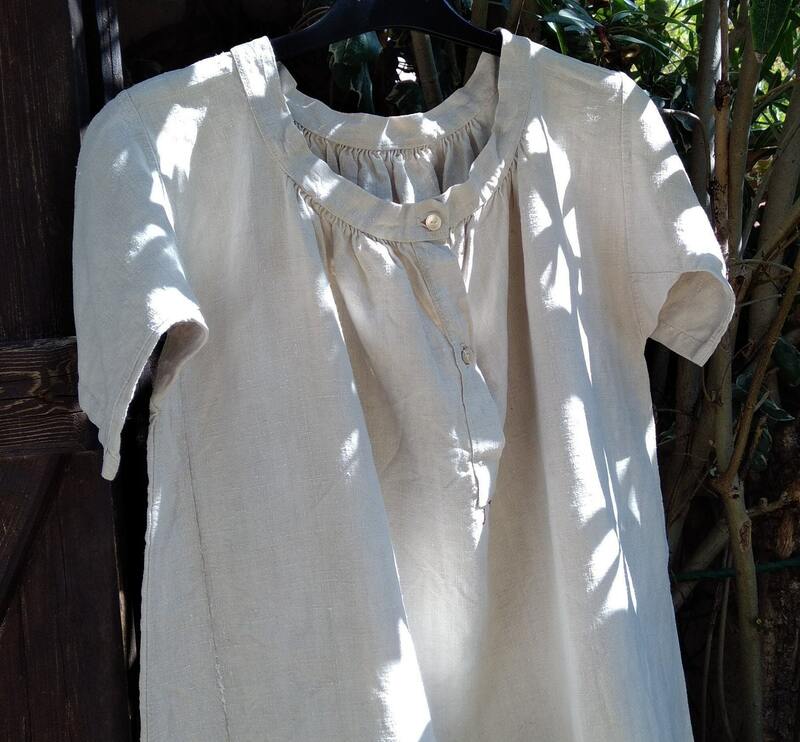 True Antique French Dress from the 1850's (or before) made of natural thick linen. 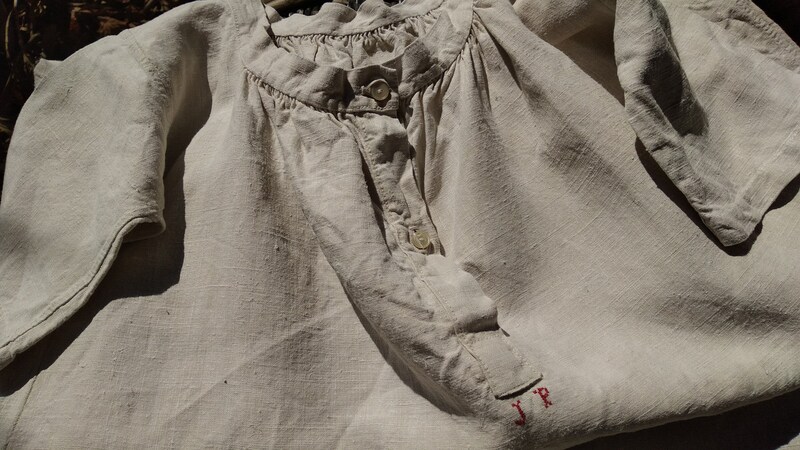 Red Monogram "JP"front embroidered . 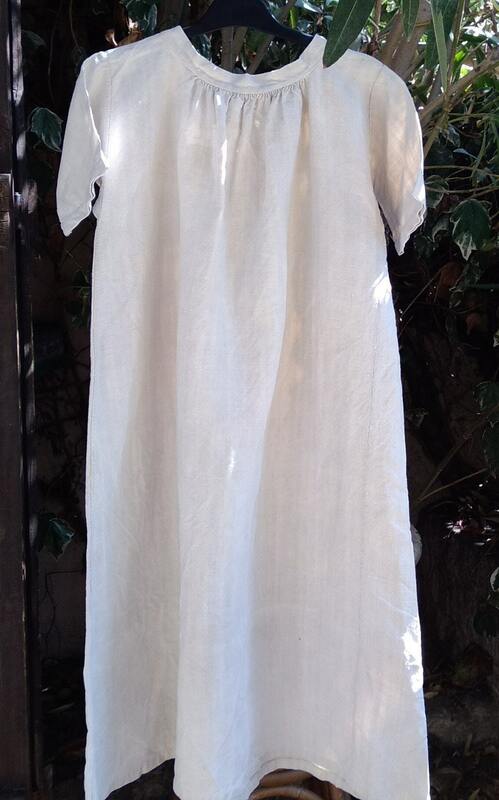 This kind of dresses were made in the French country side. 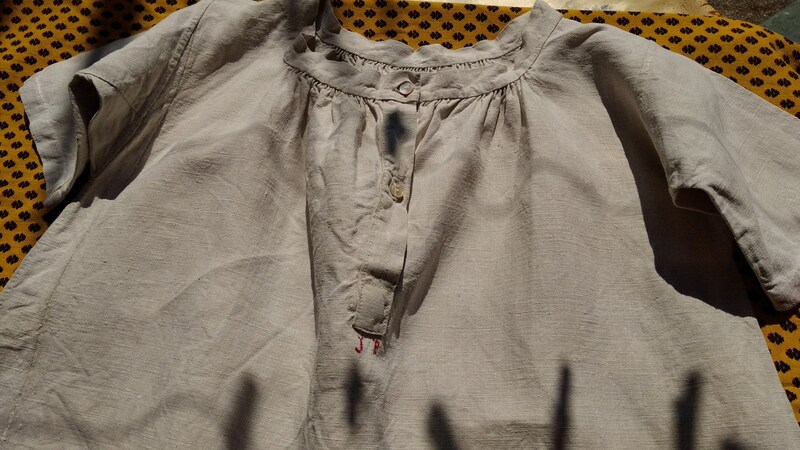 Ladies were sleeping in it. 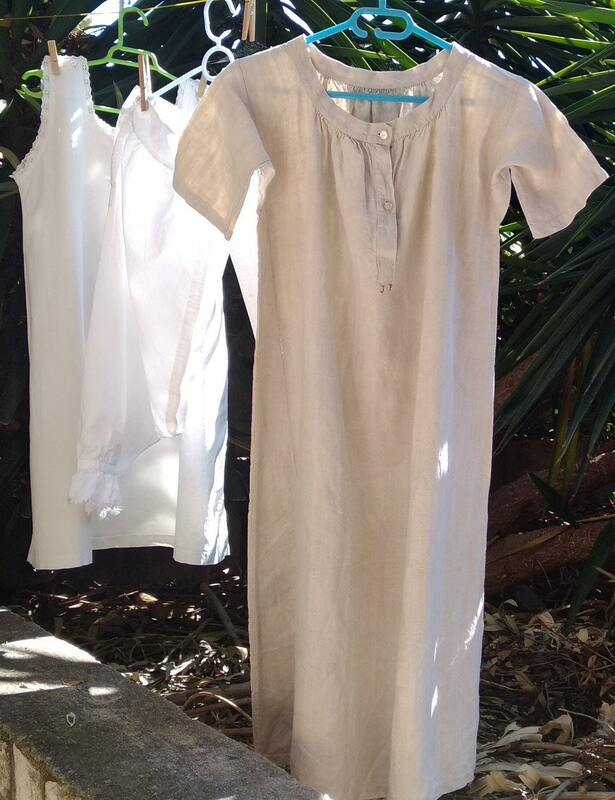 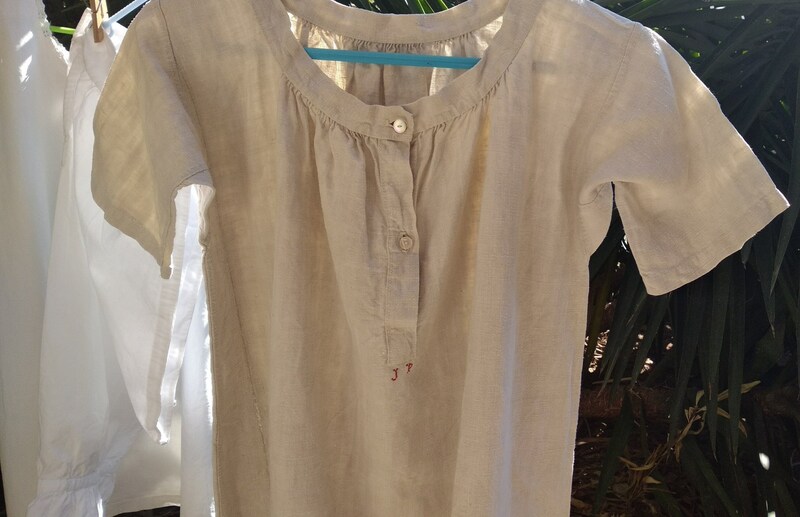 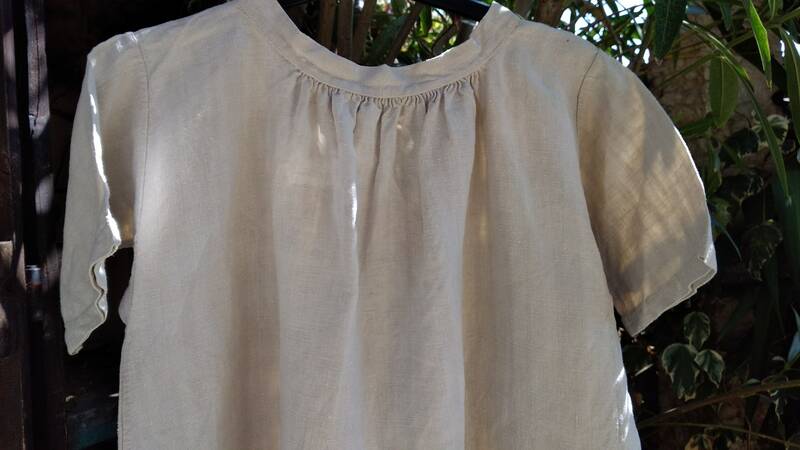 Gorgeous Natural Rustic Linen to wear as a Dress or Nightgown or Clothing for Costumes !